Marilyn Longwell & Associates, P.C. is different from most Family Law firms in that we work in partnership with our clients. We provide the legal know-how and support to enable clients to reach their desired goals, whether the issue is divorce, custody, support / maintenance, parentage, property division, or something else. We want the results to be tailored to the client’s unique situation, not based upon false assumptions or a cookie cutter model. Call us at 312-263-4730 or complete our contact form to discuss your specific situation. Q – How can I keep costs down in my case? 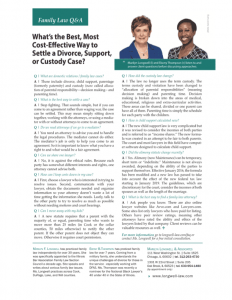 A – Choose a lawyer who is interested in resolving issues. Give your lawyer get the documents and other information needed to present the case. 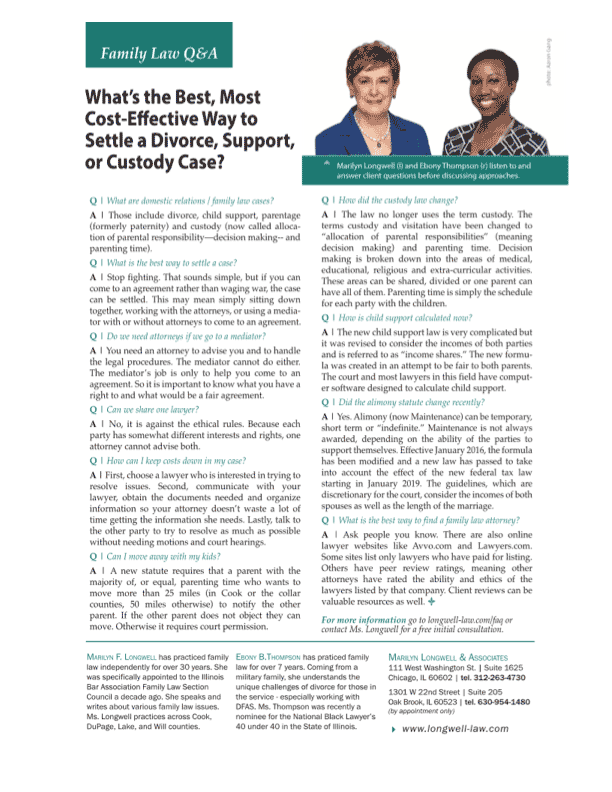 Talk to your partner or spouse to resolve as much as possible out of court. Divorce is never easy. We help our clients to move through the process and move on in life.